Remember McWhorters in Downtown San Jose on Market and San Fernando? That retail space has been empty for what seems like an eternity. Finally a new tenant is taking its place, and it looks like a solid addition to Downtown's restaurant scene. 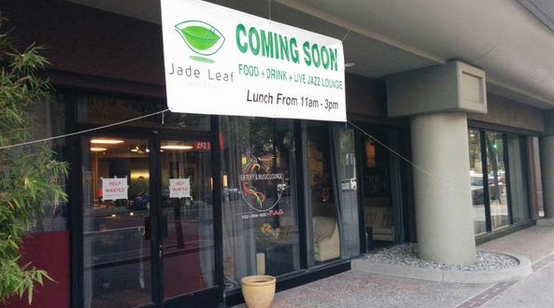 As you can see from the sign, Jade Leaf will have food, a bar, and a live jazz lounge. So we're getting both a restaurant and a new live music venue, double win! Great news! Let's hope it succeeds!